During 3 days the “Image Mapping” team of three girls of our NGO “Pangeya Ultima” again visited “Kholodnyi Yar” in Cherkasy region! 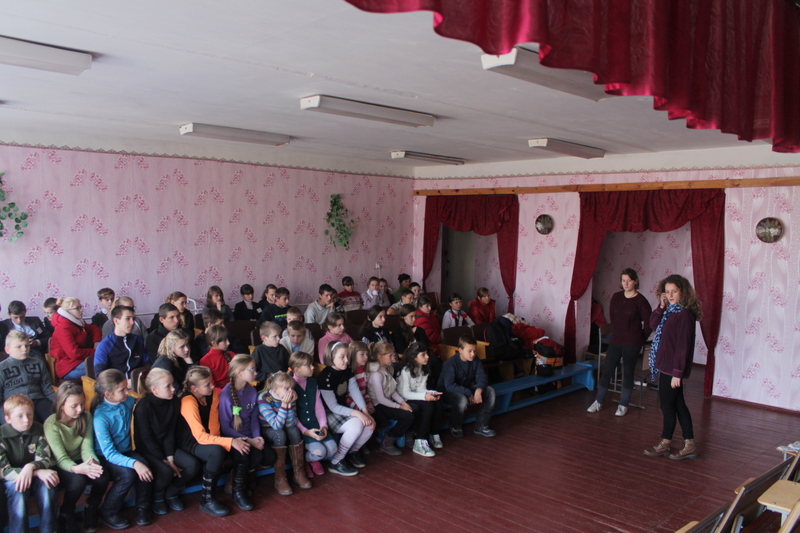 During the trip there were presentations in local schools Holovkivka, Melnyky and Medvedivka. 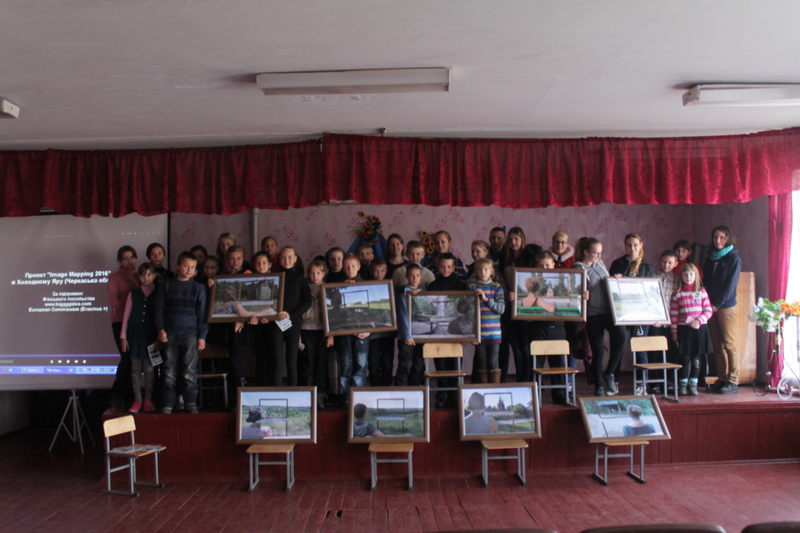 To the event pupils from the primary school were invited from the village of Melnyky, middle and high school pupils in Holovkivka and Medvedivka. 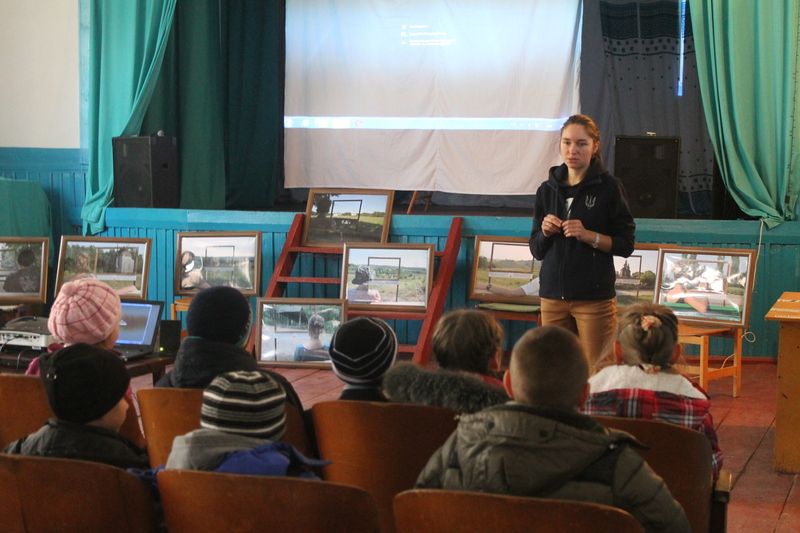 The main purpose of the visit was to present the achievements, including route of “Alive pictures”, videos on “Kholodnyi Yar”, brochures, present volunteering instruments and the “Erasmus Plus” programme. 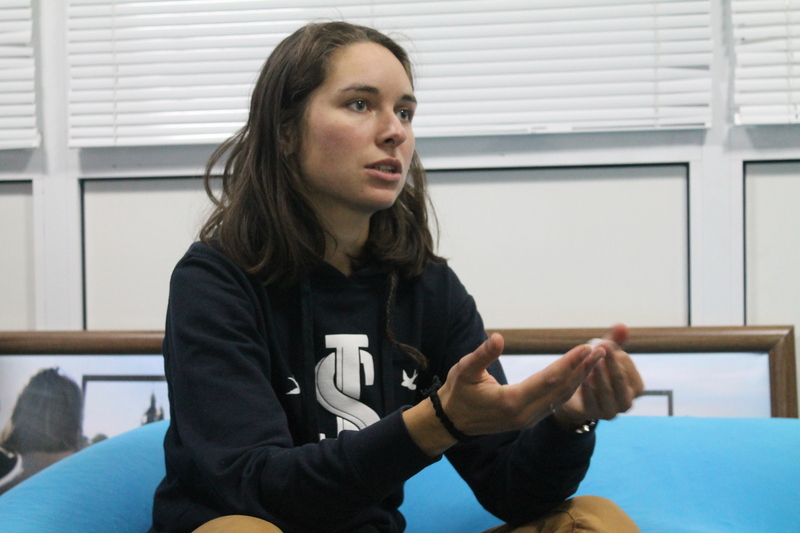 The intercultural dimension was on the palce as we had in our trip a volunteer from France – Noemie. Thanks to her children were able to learn French words, to sing merry French songs and learn more about the culture and traditions of France. We very pleased as after the presentation children came to us and asked for more. With the children we traveled along our route of “Alive pictures” as we had with us the images of the 9 points created during the project. Children were guessing where one or another point was, were telling something about the places. Unfortunately, although the children live in “Kholodnyi Yar”, but not everyone knows landmarks of the nearby villages. Therefore, this presentation gave an opportunity to introduce children closer to their native land. Also on the video materials children could see the places that are close to them and could perceive their beauty. We hope that after our project the residents in Kholodnyi Yar will fully appreciate what they have, the wonderful historical, cultural, natural areas they live in. Actually the «Image Mapping» project provides an opportunity to emphasize the uniqueness of places and focus attention on beautiful sites. It was nice to see again those community activists who helped us during the implementation of the camp. They were more able to talk about the “Alive pictures”, tell about which ones use bigger popularity among visitors. 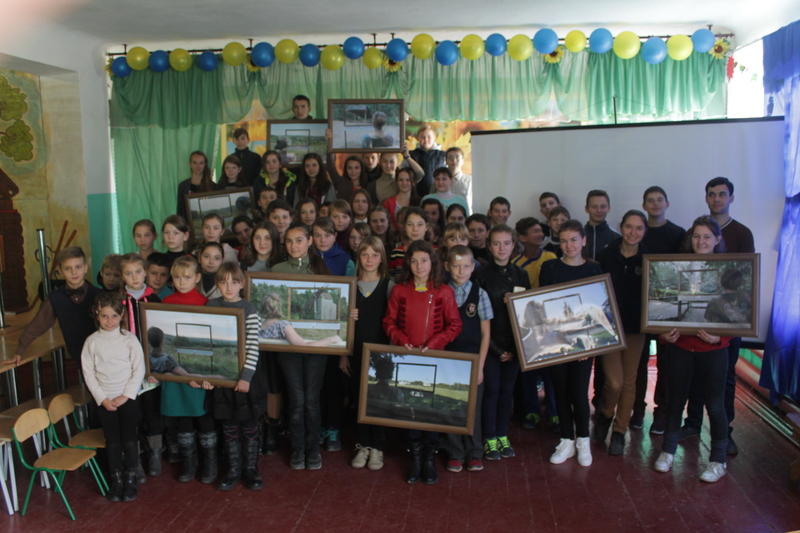 During the work in the summer camp we remember people talking that the pictures would not live long. And it turned out that they were wrong, because they do not only live, but also do their tourism function. 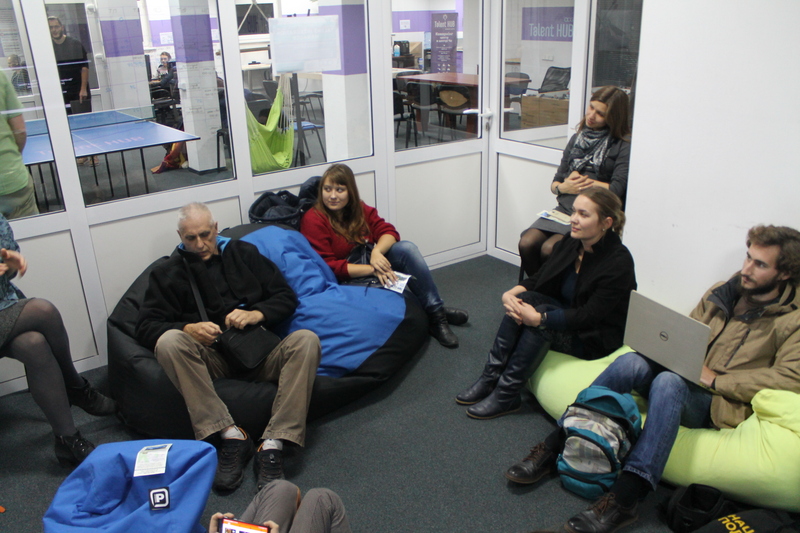 The last presentation took place in Cherkasy in the co—working centre “Talent HUB”. At this meeting we could talk in more details about the general concept of the “Image Mapping” project and establish specific communication with the visitors. The autumn beauty of “Kholodnyi Yar” met us and again reintroduced to the wonderful places that created the history of the Ukrainian state. Interesting, how it is in winter there?! 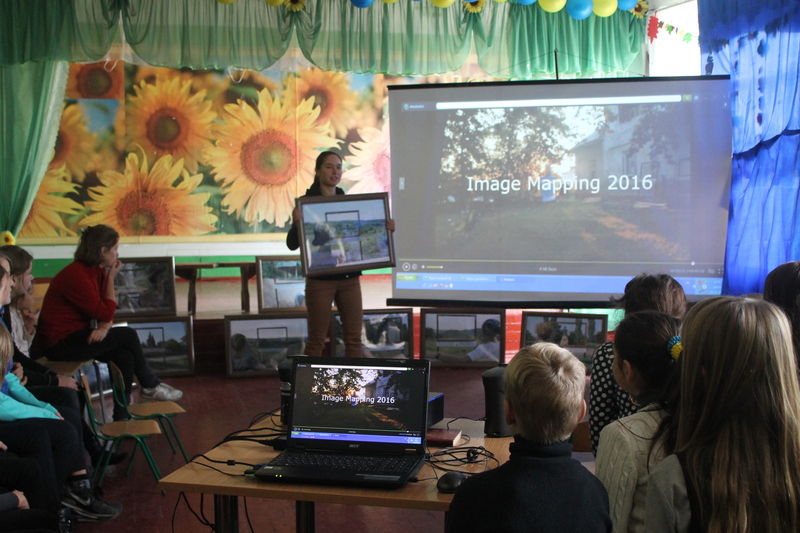 During 3 days on the last week, Vita, Lescia and me were in the region of Cherkasy to present the “Image Mapping” project. We were in 3 different schools (Vedmedivka, Melnyky, Holovkivka) and in the “Talent HUB”conference place in Cherkasy. We presented what we made during the camp in July in “Kholodnyi Yar”. We introduced our videos, we showed all the places where we installed the frames and discussed about the aim of the project. Students from school were from all different degrees and all were interested to understand what are benches and frames in their native villages. They asked a lot of questions about the “Image Mapping” project and were very thankful to what we did. But not only… children learned French words, French songs and wanted to know more about the “Erasmus program”. Teachers were very warm with us, helpful and presented to us their schools. Lots of different exchanges happened with people from the region in frames of the touristic, intercultural and social subjects. And everybody of course, encourage “Pangeya Ultima” to continue the “Image Mapping” project!